Battery-powered convenience for remote locations. 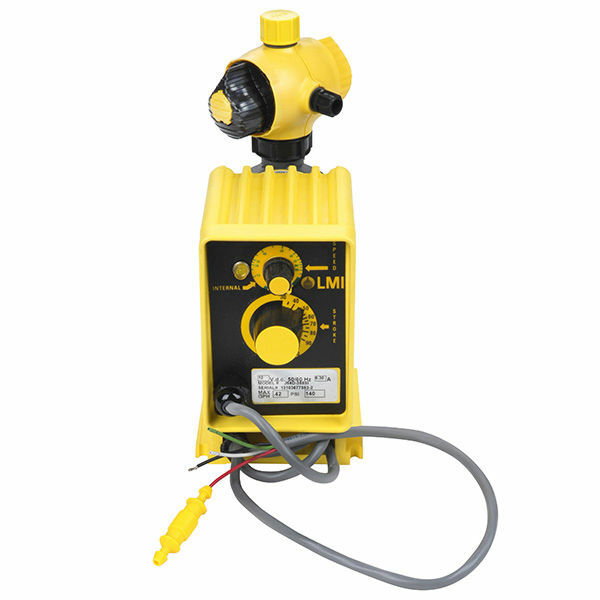 Energy-efficient and convenient, the battery-operated Series J5 12VDC Chemical Metering Pump offers the same superior features of LMI’s premium line pumps, with the added advantage of remote location operation – no AC power needed. With a low power consumption that draws just 1.6 amp average (19 watts at maximum speed), a typical 70 amp-hour battery will easily operate the pump for 24 hours at top speed. Just as rugged as the AC powered models, the Series J5 electronics are housed in a chemical resistance enclosure at the rear of the pump for maximum protection against chemical spillage. This pump is the perfect for chlorine, sodium bisulfate, lime, caustics and acids.